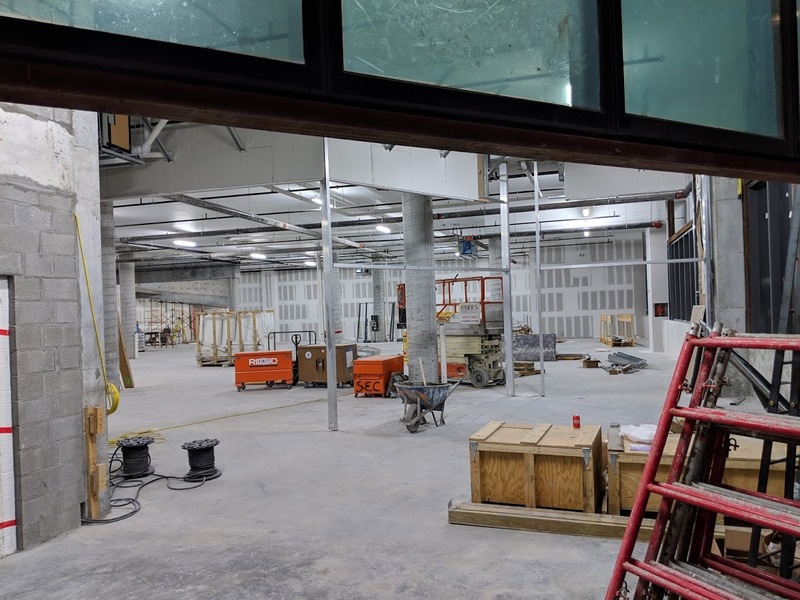 Sometime this year you should be able to shop at the new Trader Joe’s store in South Beach, judging by new construction photos. The mixed-use project called 17 West that will include the Trader Joe’s broke ground nearly two years ago, and completion now finally appears to be in sight. 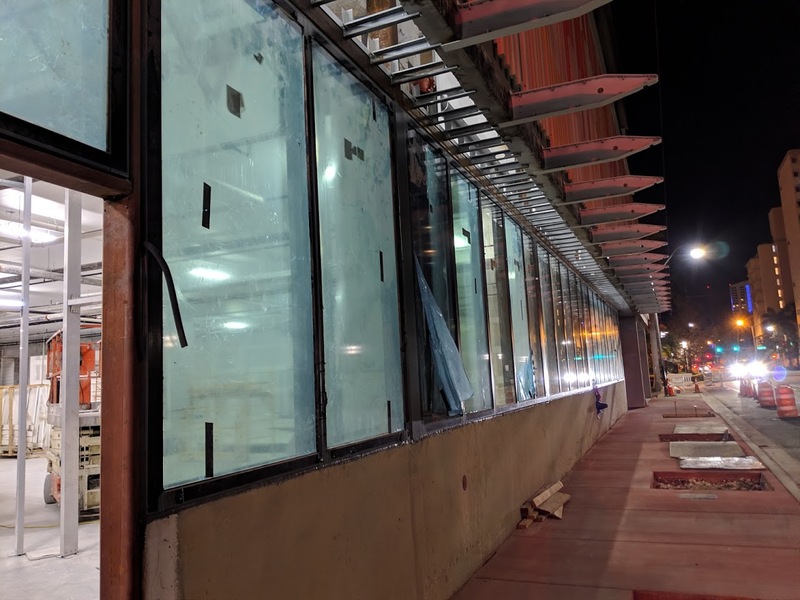 Photos show that most of the glass storefront has been installed at the Trader Joe’s, with interior drywall work also now underway. 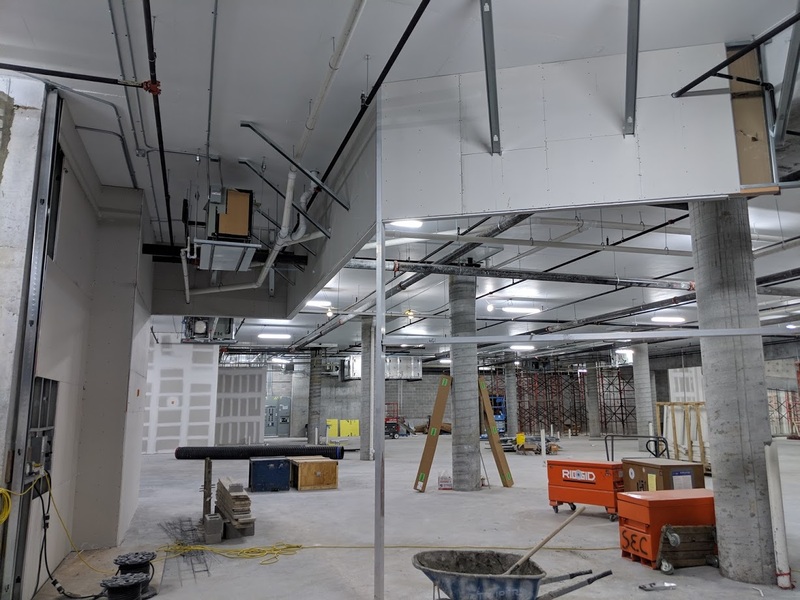 When will it actually open?A Loopnet listing for the project lists an occupancy date of May 2019 for the other retail spaces at 17 West. Timing for the Trader Joe’s space may be different, and additional tenant work may still be needed after the space is turned over. The five-story 17 West will include ground floor retail and restaurants, with two levels of parking above. The top two floors will include apartments and townhomes. 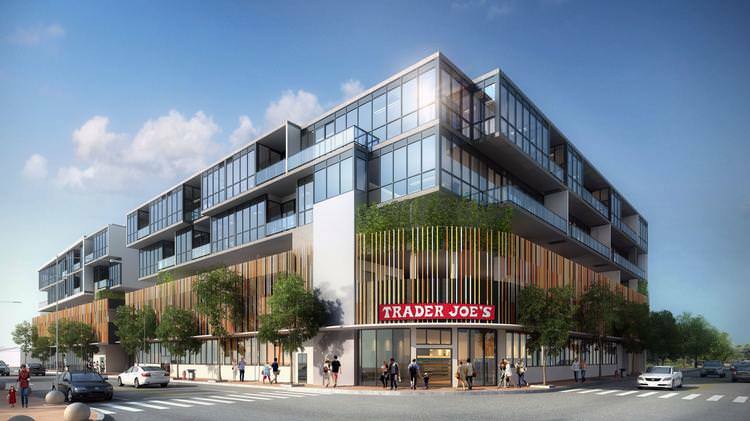 Trader Joe’s still hasn’t announced plans for a store in the much faster growing neighborhoods of Brickell or Downtown. They should think about opening one in the Omni area. Plenty of space and also new residents thanks to Canvas and all the Melo towers. Plus the mover has stops there. Maybe as part of the proposed school board property redevelopment. …or Midtown on the Walmart site. It would work well in the complex, and flanked by the Design District, Wynwood, and Edgewater to boot! They don’t do the hood you will never find this store in such risk. The old Christian Science Church would be a great location. Without the hideous parking garage hovering over it and cheap architecture tower. The lack of setback and sidewalk width on 17th street is atrocious. Planning staff should be embarrassed. 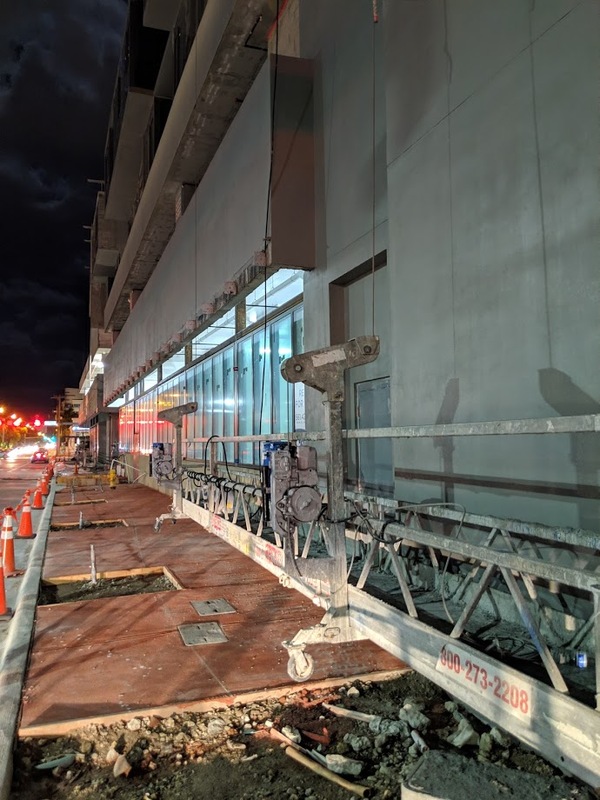 Those carved out areas in the newly poured sidewalk might actually be for the relocation of the street lamps that had to be moved, because the building was built so close to the street. I don’t know that for sure, but was told that they were moving them. Given that the Hotel that’s across 17th has a much wider sidewalk and setback from the street, it makes one wonder who’s blowing who to get this sort of variance. Would love to see one in Brickell to give Publix some more competition. Other than the Whole Foods north of the River, there aren’t too many other options. I can’t stand Publix (not to mention their political machinations), adding a Trader Joe’s south of the river would be ideal. Hopefully this Trader Joe’s has adaquate parking spots. Lack of parking very frustrating at Trader Joe’s Dadeland. Abundance of car oriented lifestyle in Miami is frustrating. What I’ve heard, Trader Joe’s purposely limits parking to the minimum required to keep costs low. I’ve also heard that the Germans who own the brand consider it odd to have to provide free parking. Whatever is the case, it doesn’t bother me. I’ll be walking there. As an insider, I can say the ‘Germans’ have absolutely nothing to say about TJ’s, its planning or how it’s run. They are, TJ’s, totally independent from their ownership. so it might be this decade. might. Any idea how many square feet this one will be? (I think Dadeland one is about 13,500 sf.) BTW, Is that the former Epicure location? 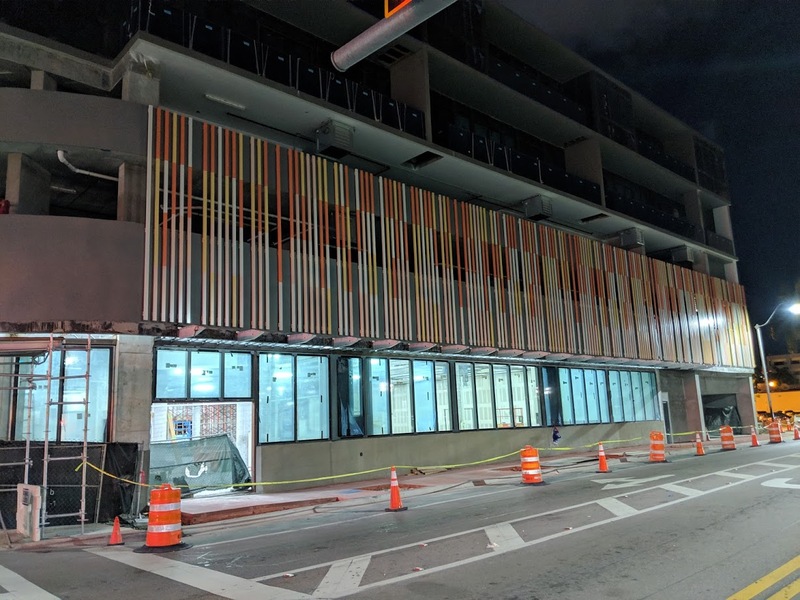 It’s a new building that was built on a former surface parking lot on the west side, and a former gas station on the east side. The former Epicure, while on the same block, is still vacant. The last sentence in this article signals jealousy. 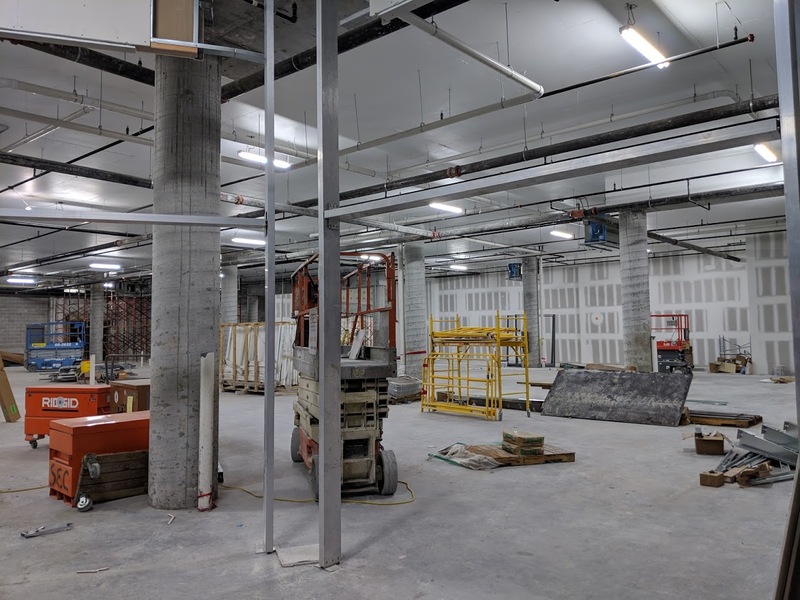 Was down there last week….March 13, coming along nicely. Not going to open in May though. Maybe late June or early July. Don’t get Trader Joe’s, I prefer Sedano’s any day! I love Aldi. I’d love to have one of those on the beach as well. My second option if Sedano’s is not close by…I miss Varadero Supermarkets!!! Well then, you’re truly in the wrong country. Even Sedano’s founder wanted to go back to Cuba.